Proops 200mm oilstone complete with oil resistant oilstone box and honing guide. The honing guide has the different angles etching in the side of the tool. 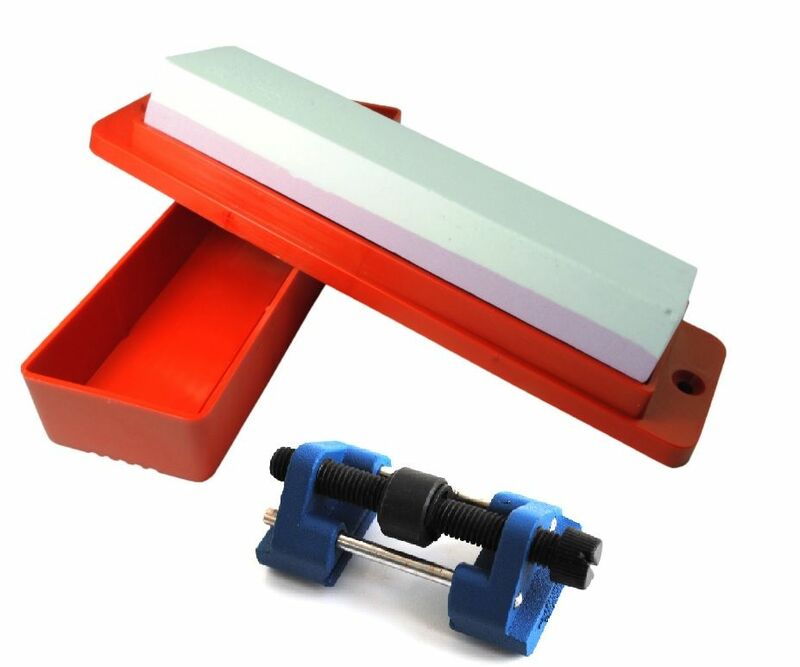 This makes the ideal kit for sharpening all H.S.S and carbon steel chisels and plane blades. A perfect bit of kit for everyone's work shop. Please browse our website for other great priced products.